Check out this cute cocoa mug! 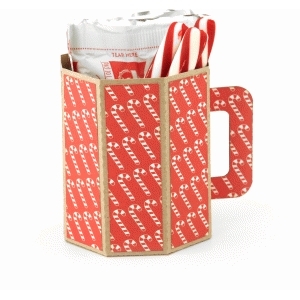 Simply fill with packaged hot chocolate and give an adorable gift this winter! Measures 3.1x3.1x3.8. CAMEO & Portrait compatible when cut at original size.